A shotgun shell can achieve anything from lightly peppering a clay target at close range to taking down a deer at 35 yards. And that huge variance in capability can all come out the business end of a single gun. That's because you can precisely tailor what's inside a shell to your specific needs. Here's how. The hammer gun my great-great-grandfather used to hunt and defend the family homestead (left), Lara's Rizzini and my "new" SKB (right). I've used shotgun on and off since I was a Boy Scout, but have never been particularly good with one. That changed recently when the girlfriend's dad gifted us a nice pair and we decided to take that opportunity to enjoy the sport a little more seriously. We've been practising at the range and, this weekend, I'm taking mine turkey hunting. It won't be my first upland bird hunt, but it is my first time going after a bird as big as a turkey, so I've had to learn a lot about shotguns and the shells you shoot with them in a short period of time. Turkeys are tough, wary birds with extraordinary eyesight (10x that of humans); should be an interesting weekend! Primer: Located at the center of the base, the primer contains a chemical that explodes when struck by the gun's firing pin. When you pull the trigger, you're releasing that firing in. 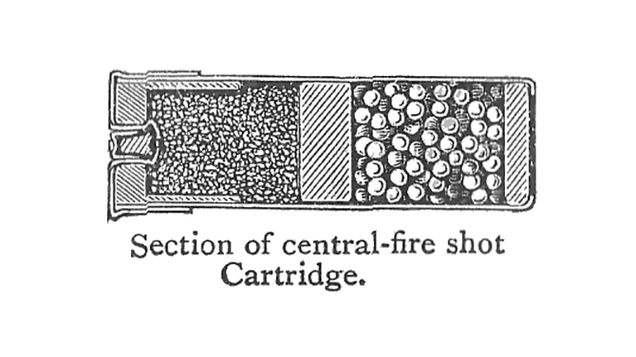 Here you can see Federal's "FliteControl" wad opening and releasing shot, upon exiting the barrel. Note the "air brakes" around its perimeter. 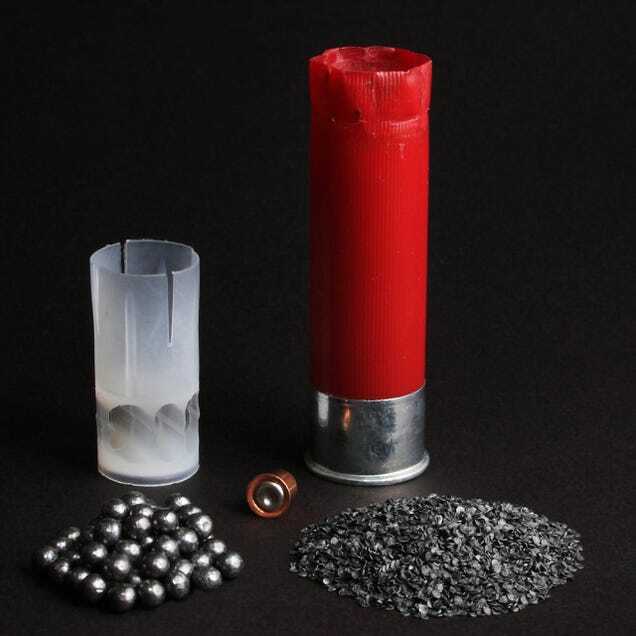 Shot Wad: A plastic cup or similar shape that holds the shot together as it exits the barrel; these can be tailored to help maintain a tight pattern of shot out to a longer range. The size and shape of the shot wad is often a major distinction between brands, you'll see these listed as "FliteControl" or similar. The wad is caught by the air once it exits the gun and falls behind the shot as that travels to your target. On a typical box of shells, you'll find five prominent and important numbers. 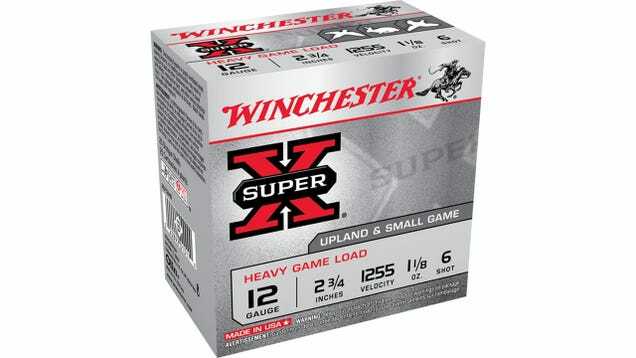 After all the marketing and branding, these are what actually distinguish any shotgun shell for another and are all that really matters. Gauge: The diameter of the gun's barrel. 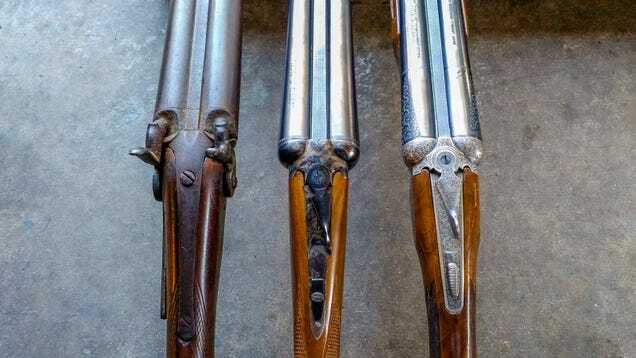 In a confusing system that dates back to cannons, shotgun gauges are measured in the weight of a solid sphere of lead that will take up the entire bore. So a 10ga barrel fits a lead ball that's 1/10th of a pound and a 12ga fits one that's 1/12th of a pound. The larger the number, the smaller diameter the gun's barrel is. You can only shoot the correct gauge shell for your gun. Shell Length: This corresponds to the chamber size of a gun; shotguns typically come with 2 3/4, 3 or 3 1/2 inch chambers. A larger chamber can shoot a smaller shell, but a smaller chamber will be damaged by shooting a larger shell due to over pressurisation. Obviously a larger shell is able to hold more shot, so the larger sizes are becoming more popular with hunters. Velocity: The speed at which the shot is propelled from the gun, as it's leaving the barrel. This is actually a user-friendly number, meaning you don't need to account "drams" of powder versus the amount and size of shot and shell to determine velocity. The higher the velocity, the further the shot will travel and the more punch it will pack at larger range, for its given size. Shot Weight: The weight of the shot in the shell, measured in ounces. The higher the number, the more shot you're putting onto a target, but it will also create more recoil, which could effect accuracy. Shot Size: And, this gets confusing again. The larger the number, the smaller the shot. Buck shot goes down to 000 though, which is larger than 00, which is larger than 0, which is larger than 1. 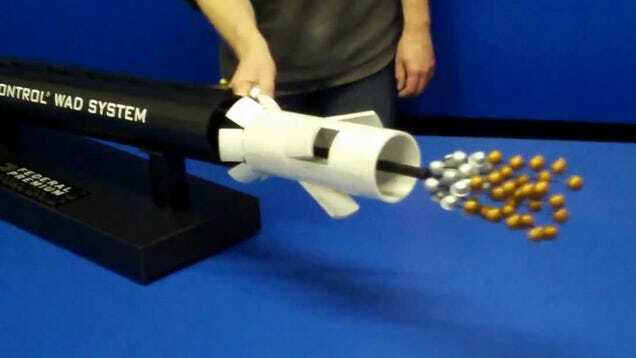 The larger a single piece of shot is, the more momentum it packs and the harder it hits a target as a result. But given a set weight (amount) of shot per shell, a larger shot will also produce a sparser pattern, meaning you could miss the target even if you're aiming correctly. When it comes to shooting, you need to consider the velocity, weight (amount) and size of your shot to balance power, pattern and accuracy. And that's in addition to the choke on your gun, which is how tight the barrel is, at its far end. So, for turkey hunting, Corey and I need to use a shot size (4, 5 or 6) capable of taking down a turkey with enough velocity to do so at up to 45 yards while creating a tight enough pattern that most of our shot can remain grouped around the bird's head and neck. To do that, we have to go shoot different shells with different chokes at targets set at different ranges to determine what works best in each of our guns; shooting a shotgun is not as simple as using a rifle! So, thanks to the variance described above, a single gun is able to perform a multitude of tasks. That's a useful merit that can also be used by law enforcement, soldiers are sportsmen to achieve an even greater variety of uses out of a single tool. We've all heard stories of olden day farmers loading up a shell with dry rice to run pesky kids off their property. That non-lethality was expanded by bean bags, which have been employed for riot control and non-lethal law enforcement tasks for decades. 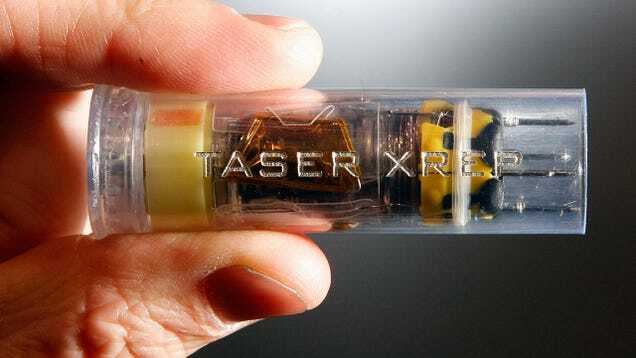 Now, that idea is getting a modern twist with a loads like the 500-volt taser pictured at the top of the article. That's an awful lot of work performed by what's ostensibly just a little plastic cylinder.